The overall incidence of fatal crashes among teen drivers has decreased over the past decade. This is good news, despite the unsettling number of recent horrific reports of deadly car accidents involving teenagers. During spring break, one teen was driving to a nearby town with four friends to have some fun after he dropped his girlfriend off in the Texas Panhandle. But just outside of Dumas, he ran a stop sign, crashing into a tanker loaded with fuel, which caused a fiery wreck. All five teenagers died in the tragic accident. The fire was so extreme, investigators had to identify the teens through DNA. On the same day another accident resulting in the deaths of six teens was reported. The following day four teens died in an Illinois car accident. Then in Indiana, two pickup trucks ran a four-way stop sign and caused a crash that resulted in the death of three teens. The Governor’s Highway Safety Association released a report recently that showed teen driving deaths have been on the decline for the last ten years, in spite of these recent accidents. The report still shows the dangers of teen driving and that deaths among younger teen drivers have actually increased dramatically in the first six months of last year, in contrast to the trend of the last decade. Even with last year’s sharp increase in younger teen driving deaths, overall the numbers show a significantly lower number of teen deaths than there were a decade ago. In 2000, there were 435 16-year-old drivers killed, but in 2011 that number dropped to 173. And in that same year, deaths among teenagers age 17 decreased from 564 to 250. The first six months of 2012 showed a 19 percent increase, however, in teenagers in the 16-17 year old age range, since the previous year. Deaths increased from 202 to 240. These reports only indicate driver deaths and are from preliminary data. Since 1982, teen passenger deaths have also dropped. The report shows that in 1982 there were 1,898 fatalities of teenage passengers ages 15-20. Drivers were in this same age group. This number was 777 in 2011. Some of these dramatic decreases could be due to the fact that there are now far greater restrictions imposed upon teen drivers on the state level. 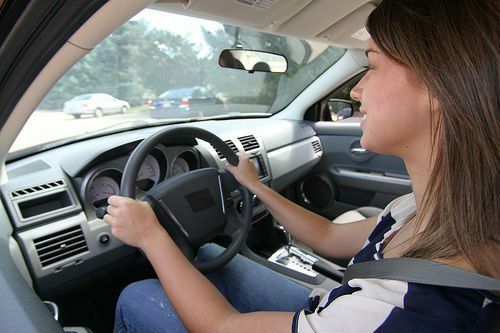 Many states limit the number of passengers that teen drivers can have riding in a vehicle with them and restricts nighttime driving. Another possible reason for the notable decrease in fatalities could be that fewer American teens are getting their driver’s licenses. Over the course of the last three decades, transportation researchers found that fewer teenagers and adults in their 20s and 30s have licenses. The speculation is that as young people use the Internet more and more, there is less of a need for face-to-face interaction. These statistics provide hope, despite the recent tragic accidents. It is very important that parents discuss safe driving with teenagers. If you or a loved one has been injured in a Missouri auto accident contact The Hoffmann Law Firm, L.L.C. We will work to protect your rights and get you the compensation you are entitled to. Call us at (314) 361-4242.